Police forces and emergency services stand at the 24 Oktoberplace in Utrecht, on March 18, 2019 where a shooting took place. Prosecutors said their investigation now led them to believe the gunman had no help from other people. "The 37-year-old suspect this morning confessed the criminal acts he is charged with" at a hearing before an investigating judge, the public prosecutor's office said. Prosecutors gave no further details of Tanis' confession, citing the importance of further investigation. No proof was found of any involvement or assistance and therefore he is no longer a suspect. In a statement, the court said the judge ruled that "the suspicion is strong enough to detain the man for longer". The nature of the shooting and a note found in a getaway auto led to strong suspicions of an extremist motive. 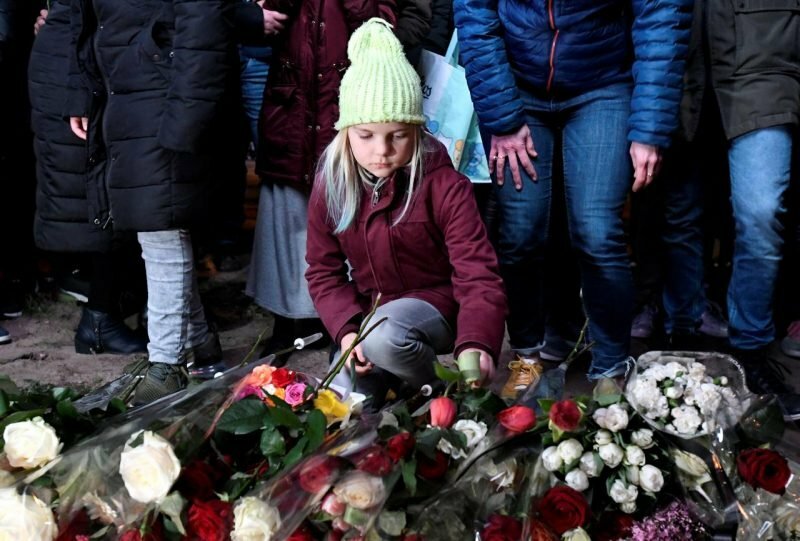 Dutch Prime Minister Mark Rutte is expected to join a march in Utrecht on Friday to commemorate the three victims of the attack: a 19-year-old woman, and two men aged 28 and 49. Another 40-year-old suspect, arrested on Tuesday, was released. Earlier, Utrecht's mayor told marchers: "Today the city is silent once again".